One of the toughest challenges parents of a newborn may face is the excessive crying and inability to soothe their baby, also known as colic. Colic is generally defined as unexplained crying for more than three hours a day, more than three days a week, for more than three weeks, beginning in an infant less than three months of age. Even the most colicky newborn will have a resolution of symptoms by 4-5 months of age, regardless of many measures parents take. The approach to managing an infant with colic will vary based on the practitioner that is asked for advice. If the infant is otherwise well, the family history, feeding history, and physical exam can help your doctor focus their approach to this problem. There are a couple of steps that can be taken to try and help a colicky baby, though many infants need to just outgrow this stage of their development. First and foremost it should be said that a colicky baby is not a reflection on anyone’s ability as a parent or caregiver! 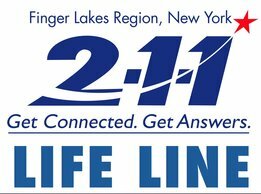 Supporting families through the difficult weeks to months that an infant is colicky is the work of all family members, friends, and physicians. Soothing techniques: Parents with colicky infants should trial an assortment of soothing techniques before implementing dietary changes. Soothing techniques include walking around with your newborn, using a pacifier, trying a warm bath, and playing white noise to help decrease sensory stimulation. Feeding techniques can be altered to see if the fussiness is the result of an allergy or the baby swallowing too much air with feedings. For breastfed infants, mothers may try an allergen-free (eg. nuts, dairy, eggs) diet for a week or two, as the baby’s symptoms could be related to a food allergy to something in the maternal diet. This technique has proven especially beneficial in mother’s with eczema, allergies, or asthma and in babies with symptoms of cow’s-milk allergy. For formula fed infants, a one week trial of hydrolysate infant formula (eg, Alimentum, Nutramigen, Pregestimil) is an option. Some infants presenting with symptoms of colic may have an intolerance to cow’s milk protein in formula. If symptoms do not improve in one week, a return to the previous formula is advised. Of note, most infants with cow’s milk protein allergy will likely have more symptoms than crying and fussiness alone. Dietary alterations are a possible intervention to try when troubleshooting causes of colic. Other interventions: There is currently inadequate evidence to recommend probiotics, herbal supplements, homeopathic remedies, simethicone, and sucrose as interventions to try for a colicky baby. While many of these interventions have anecdotal evidence behind them, the science has not been able to prove true benefit. In some cases, these supplements contain ingredients that could be harmful to your baby! Mindful label reading is important, but without more research it is hard to determine if any improvement in colic symptoms is due to these remedies or just the passage of time. William Woodward adapted the formulation for gripe water following the use of similar products for babies with “fen fever” (a form of malarial illness) in 1840’s England. 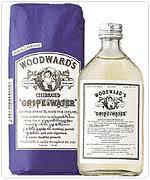 Woodward’s gripe water first hit the British market in 1851 as a cure for symptoms of infant gastrointestinal upset. 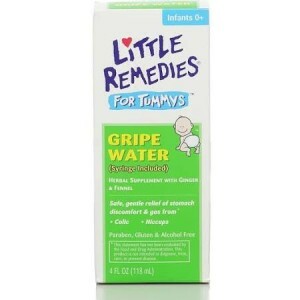 There is currently no consistency between manufacturers’ formulations of gripe water. 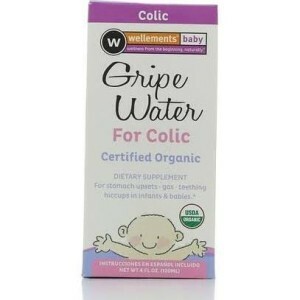 It is marketed as a dietary supplement, which means the claims made by gripe water brands have not been evaluated by the United States Food and Drug Administration. Given this lack of consistency and regulation of herbal products, the benefits of gripe water do not outweigh the possible risks (eg. contamination with bacteria, toxins, or ingredients not listed on the label). Original formulations of Woodward’s gripe water included the ingredients: alcohol, sodium bicarbonate, dill seed oil, and sugar. The current formulation of includes sodium bicarbonate, glycerol, and dill seed oil, but no longer contains alcohol or sugar. Parents are justifiably distressed by colicky infants. Supporting parents through the difficult weeks to months when they have a colicky baby is the key! The finite amount of time a newborn experiences colic is one that can be truly draining. Efforts to mitigate symptoms should focus on proven and data-supported measures and avoid supplements and remedies. Speak with your doctor if you have questions about colic and how to treat it! This entry was posted in Kids Thrive 585 and tagged Colic, colicky baby, crying baby, feeding techniques, gripe water, newborn, newborn care, soothing newborn, supplements. Bookmark the permalink. ← How Can Parents Support Academic Success During Summer Recess?